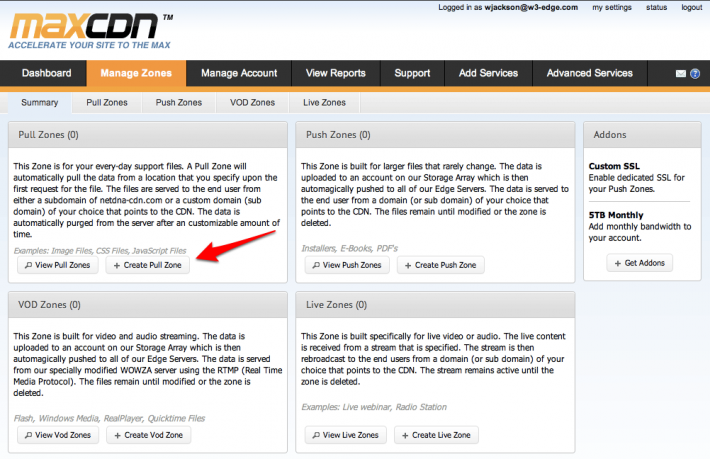 This entry was posted on Tuesday, March 13, 2012, 8:00 AM and is filed under W3 Total Cache. You can follow any responses to this entry through the RSS 2.0 feed. 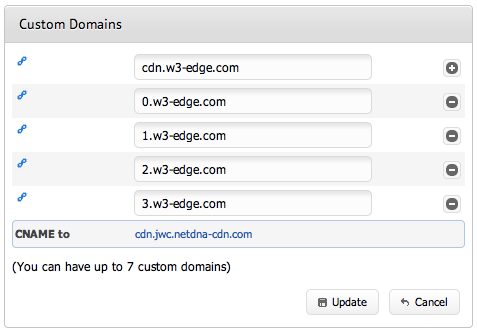 Willie: any notion why W3 Total Cache doesn't have Akamai as a CDN choice? The items in the dropdown represent CDNs where we've seen customer demand. This isn't to say that Akamai CDNs can't be integrated, there just isn't currently an API connector to it in W3TC. It is nice that you have educated lpepoe on _what_ a CDN is. It is usually much easier to implement than lpepoe think and posts like this point that out.The problem I have is I am not sure what this post is actually reviewing. Are there any metrics that you have before and after? Did you enjoy the integration (origin storage setup)? Was the support helpful?Most importantly did you compare this service to any of the other providers (highwinds, edgecast/gogrid, amazon, limelight, akamai). If so, what was your basis for comparison that made MaxCDN the best choice.This post would be very useful for lpepoe who are trying to evaluate CDN’s and make recommendations to decision makers if it included some more basis and comparison.I guess when the price is only $40/mo it’s not really going to make a huge difference which one you pick. 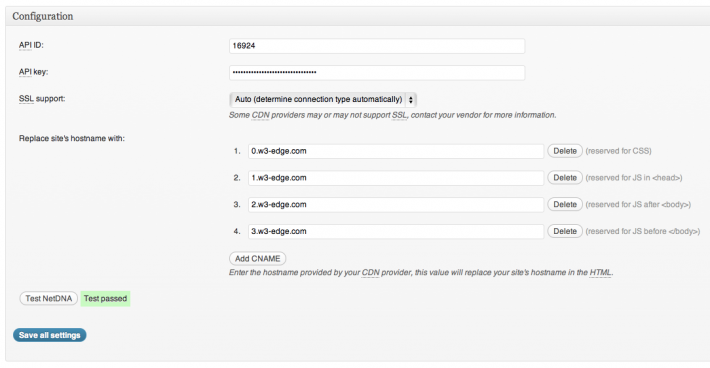 There is plenty of documentation on the web around what A CDN is, this post walks through how to integrate one into W3 Total Cache. It's not meant to be a review of MaxCDN. Also, it's not $40 per month, the deal is $40 for the initial terabyte of service — that lasts some customers months (or longer) depending on traffic and bandwidth usage. Thank you Willie, great tutorial.. I was looking for such one since ages have a quick question though.. when the item are cached does it still consume bandwidth..
CDN integration won't completely stop bandwidth usage on the origin server, but it will reduce it. Not everything is served from the CDN, of course. that is a great detailed description. Probably the best one on the net. Well done. 1. When you add the CNAMEs on the right side of the text box it says: "reserved for…" What does it mean, does it have any importance? 2. 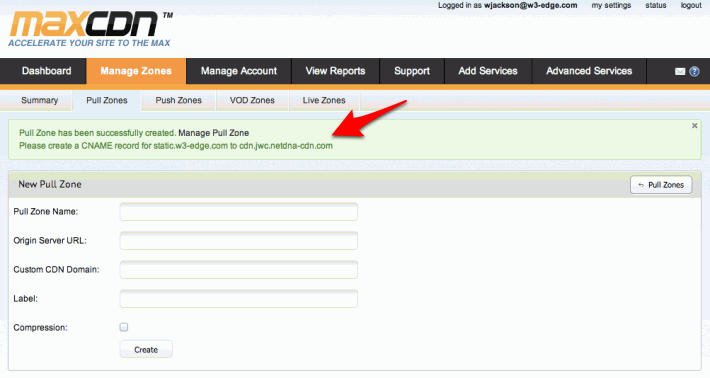 I have a MaxCDN account, and I did setup everything properly and the testing passed too. So everything seams to be OK, but when I tested my site on webpagetest.org or on gtmetrix.com or any other site it told me that the CDN is not detected. 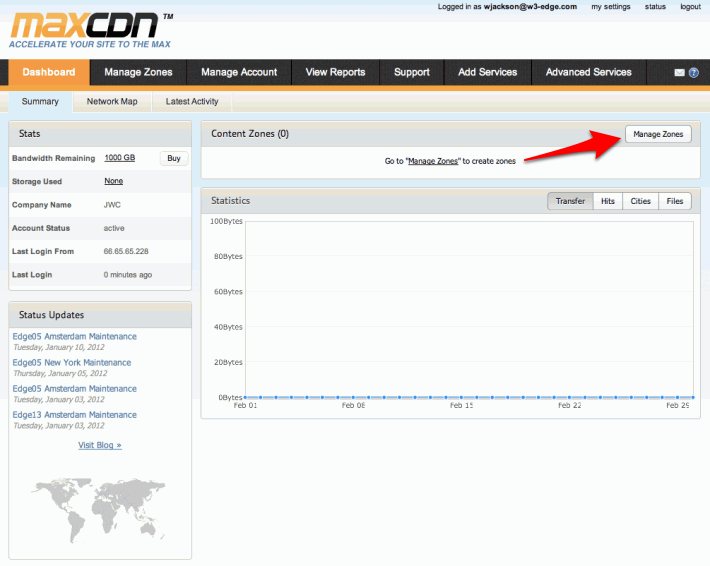 I contacted MaxCDN and they checked everything including my WP from admin dashboard. Their conclusion was, that the W3TC plugin does not work because my WP installation is not in root folder. Is it possible. I would love to use your plugin, but keep my WP safe and one of the steps is to do not install WP into root. Iam getting very good speed test and only 2 things are keep me from 100 procent: CDN usage and cookie free domain. I have VPS and full controll. What could I do? Wow guys, thanks a lot. Just do it on my web site. Thanks for the guide! Great step by step instructions …Thanks. 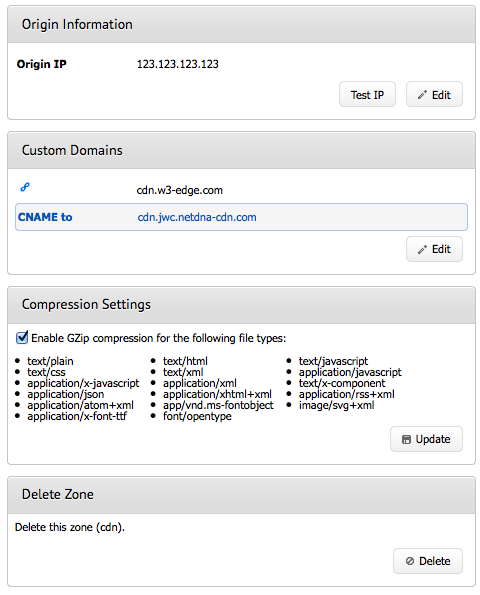 Can we use any CDN using W3 total cache.